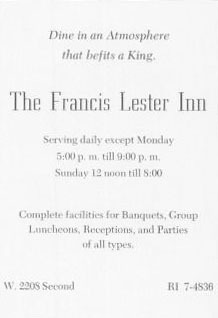 Dine in an atmosphere that befits a King. Serving daily except Monday. Complete facilities for banquets, groups, luncheons, receptions and parties of all types.